Neptune’s Dive Club was founded in 1958 and state chartered in 1961. It is Wisconsin’s oldest scuba diving club. The ambition of the club has always been to promote and facilitate recreational scuba diving. Members include divers of all experience levels from new, to advanced, Master Divers, Dive Masters & Instructors. The club promotes safe diving and provides periodic dive demonstrations at local events. 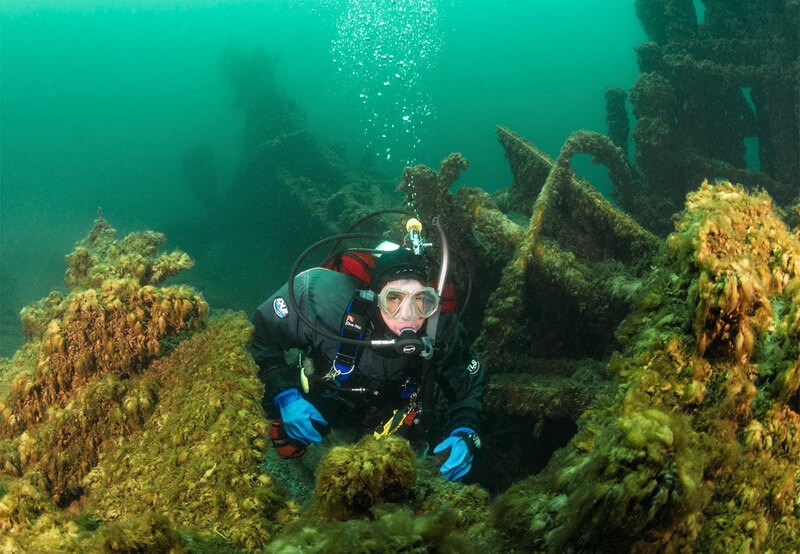 Many Neptune members organize and run local dive excursions on Green Bay, Lake Michigan, surrounding lakes and quarries. Recent efforts have focused on assisting with the development of shore access in NE Wisconsin & Door County. Neptune members also provide dive training incentives for club members. Club members are always on the hunt for new diveable shipwreck locations. Monthly meetings are held the second Tuesday of the month at 7 PM. Meeting Locations change monthly depending upon club scheduled activities. Check the Neptune Home Page for the latest monthly meeting site. New members always welcome. Click here to join or come to our next meeting. See the Neptune Constitution & Bylaws here.